Tyler got involved in fitness at the age of 13, and his passion only grew from there. Tyler received his BS in Exercise Science from Westfield University, and for the past 5 years has been a personal trainer, working with various ages of men and women. 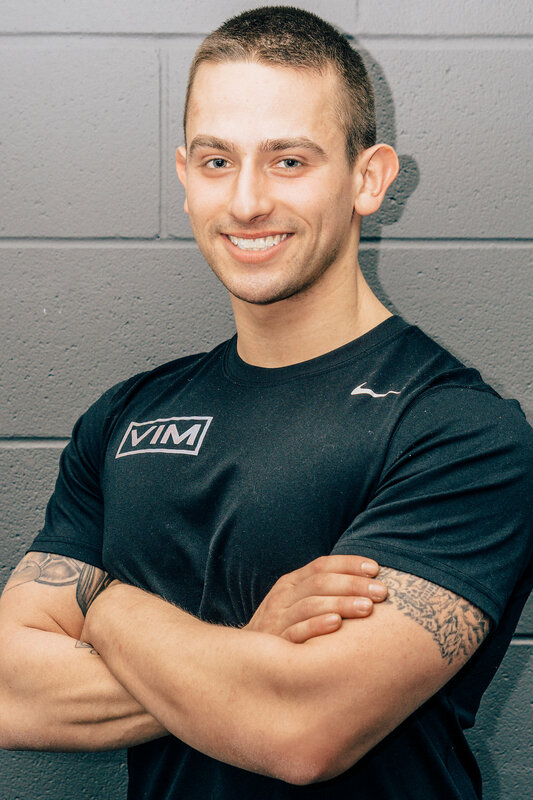 He’s trained youth, athletes, clients focusing on fat loss, and others with a focus on strength and conditioning, using corrective exercise and mobility to improve functionality and posture. 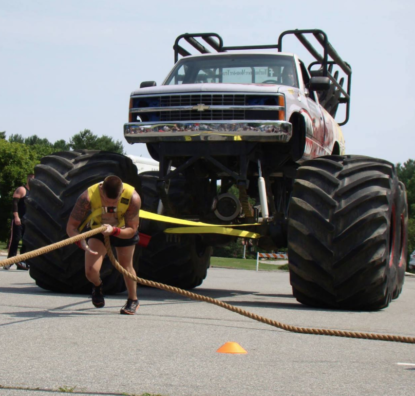 Tyler has a background as an athlete in wrestling, MMA, boxing, and currently competes in strongman. Tyler firmly believes in the need to master proper technique and form before advancing to strength training. Having proper mobility is also crucial for performing daily functional movements like a squat or dead lift. “When I first met Tyler, I was living in near-constant pain, with three damaged disks in my lower back. My doctors said that a stronger core was key to long-term recovery but it seemed, at the time, an impossible task. At the time, the most I could manage without pain was a modest glute bridge. It’s not an exaggeration to say that my two years working with Tyler have changed my life. I’ve shed over 30lbs, have nearly erased my back pain, and am in the best shape of my life. Recently, we even switched gears to focus on lifting heavier to build muscle mass – a notion that would have seemed crazy for the “me” of two years ago. http://theallen.com/?search=generic-levitra-brand – He really knows his stuff. Tyler’s philosophy is about more than just lifting dumbbells and machines – he also incorporates functional training, cardio, mobility, and nutrition. This range of different challenges has helped me learn a lot about how my own body works – and I’ve never been bored! 40 mg prednisone low grade fever – He goes above and beyond to find a routine that works for you. I’ve had to travel a lot during our time together, and Tyler’s written me great workouts based on pictures of faraway gyms to make sure I stay on track. propecia versus avodart for hair growth – He is personally invested in the success of his clients. He’ll push you like a coach, lift you like a brother, and nag you like your mother to keep you on track. It’s been a tough journey, but I’ve never felt alone! “Over the course of five months, I went from being too intimidated to enter a weight room and having no idea what all of the equipment was for, to feeling confident and empowered and finding a level of mental and physical strength I did not know I was capable of. Tyler taught me the basics of weight lifting in a judgement free manner but also pushed me to find discipline and consistency. Over time I went from being barely able to walk after my first work out with very little weight to increasing my weight every week. I lost at least 4% body fat and gained muscle tone all over my body. “Before I met Tyler for a free consultation, I thought there was maybe a 20% chance I would commit to personal training for the long term. After I met with him, I came away surprised—he’s not pushy, he listens to your needs, helps you determine your goals even if you don’t know exactly how to articulate them, and explains what he can do for you in an approachable way. I had dealt with some low back discomfort, and he was confident he could help. At this point, I was 100% invested. When training started, I was ready to get huge. 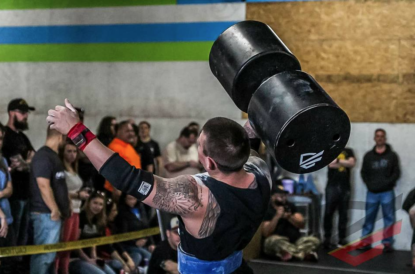 I envisioned massive weights and vein-popping feats of strength. What I wasn’t prepared for is how systematically Tyler prepares you to excel in the months ahead, and how smart he is about approaching workouts. Suddenly the name of the game was mobility: dynamic stretching, using bands to loosen your muscles, foam-rolling, and using balls for myofascial release to pinpoint those sore spots. My pre-Tyler era warmup consisted of mindless running on the treadmill—no longer, and the results astounded me. He customized a lifting battle plan geared to my specific needs, alternating focus on speed, strength and power; when he felt I was ready, I got to tackle compound movements including dead lifts, squats and the push press. He gave me tangible goals, and I responded with tangible victories. 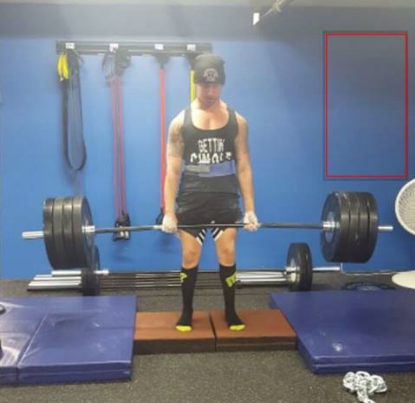 When I earned my first PR (personal record) by beating a previous weight, it felt like a concrete measurement of the success Tyler had pushed me to achieve. He filmed one of these PR milestones on his smartphone, and when I played it back to hear his roar of approval as the weight went up, it felt like the satisfying pinnacle of all my preparation and effort. I lost weight, gained muscle, added flexibility I didn’t know I had, and felt like a happier, more energized person. This also meant taking care of myself, eating more vegetables, understanding how best to incorporate protein and carbs in my diet, getting more creative about how I lined up meals during the day to bolster performance during workouts, staying limber at home and in the office by keeping up the mobility exercises, and breathing properly during exercises to tap into maximum explosiveness. My body looks and feels transformed, my back pain is gone, I feel less vulnerable to injury, and I can trace the positive effects of the exercises on functional movements as simple as loading the dishwasher. It’s nice to get compliments from friends and family about my physique, but Tyler has taught me this isn’t about mirror or beach pride, and it’s not about shortcuts. It’s about working hard for physical, emotional, and spiritual gain, as the gift of working with Tyler follows you in every facet of your life. Who doesn’t want to be the happiest, most resilient version of themselves? “Two and a half years ago I started working out at VIM. At first I only had the courage to attend VIM’s extensive list of group fitness classes. For 6 months it was sweat drenched Zumba sessions and the burn in Yoga Sculpt. During that time I lost 30 pounds, but I was getting exhausted and I knew my diet was unsustainable.